The other day I lay on the couch with my baby boy asleep on my chest. I have watched the seasons change and the world go by my living room window holding Roman there while he naps. The hot, sticky summer yielded to fall. Fall shed her gold and red robe of leaves and bowed to winter. Winter yields to no one. Spring is in hiding and I’m afraid, may never have the courage to stand in winter’s stubborn way. Winter can be beautiful too, occasionally. That day the wind was blowing hard and the clouds were light and billowy and rolling end over end on their way out of town. The sky was deep-sea blue and the sun broke through. But still the snow fell—fell out of nowhere, fell in the sunshine and looked like glittering rain flitting through the light. It was magical, the sunlight and snow and fluffy fast clouds. That day I drank my coffee hot and foamy instead of cold and dense. I sat and read and jotted some thoughts down on paper. I looked at my son and noticed his one-toothed smile and perfect little giggle. I tell you all this because I’ve realized something lately: I’m usually too busy and distracted to notice the beauty all around me. Often, I have the living room blinds closed to keep the glare of the sun off the TV and I sit on the couch looking in at Netflix and housework instead of out at nature. But that day was different. That day I decided to be still and quiet. I turned the TV off and put my phone down. 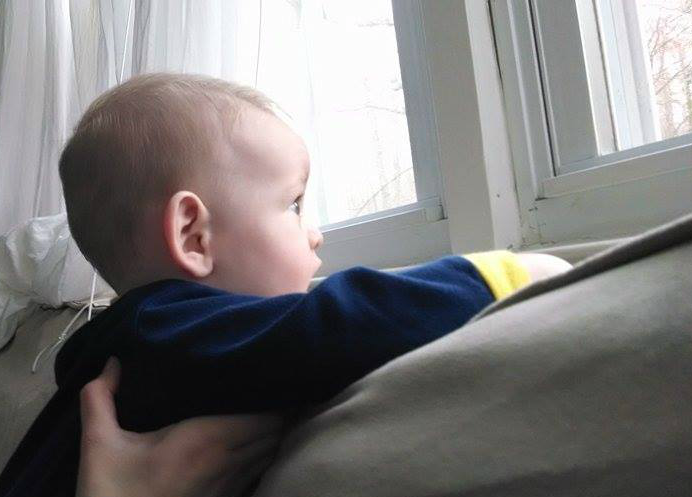 I held my boy and lay there consciously watching the snow and clouds dance outside my window. I realized that I, more than anyone or anything else, set the tone in my home. I stay home full-time which means all day every day I am the one who determines how much TV, media, and noise is allowed in our house. And with that decision, I determine what my son is exposed to in the way of noise and distractions. Already I’m an example to him and when I sit holding him with the TV on in the background while I scroll through endless feeds on my phone, I’m teaching him the art of distraction rather than of mindful concentration. 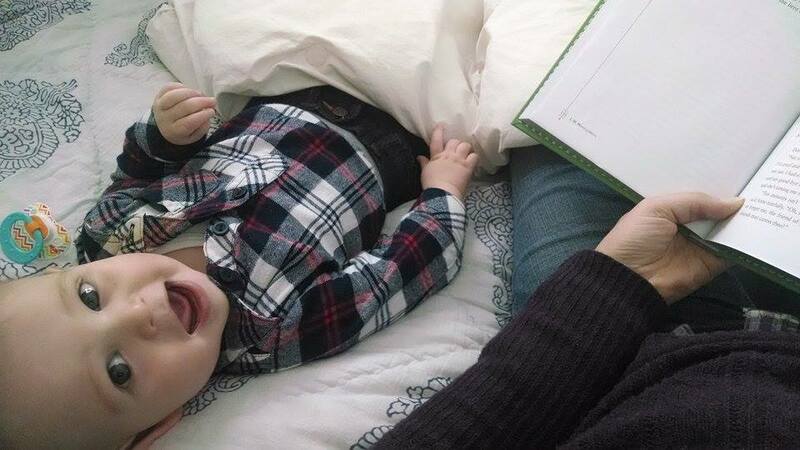 I’m teaching him to fill his life with noise and motion rather than stillness and silence. What I do now is what I’m teaching him to do later. If I want him to know how to sit still and play quietly, I need to show him by my actions how those things are done. If I want him to read and love stories, I need to read books myself and read to him. If I want him to love nature and spending more time playing outside than in, then I need to take him outside and show him what a beautifully intriguing world we live in. Just like I can’t eat junk food in front of him all day and expect him to love healthy food, so I can’t fill his environment with noise and distractions and expect him to want anything else. Sometimes the quiet drives me crazy when I’m home alone all day but I’m learning to be careful about my own need for noise and accidentally instilling that same need in my son. As a mom it’s my responsibility to teach and lead by example and that often means working on my own bad habits and growing myself into the same kind of person I would like my children to be; I can’t have expectations for them that I don’t live up to myself. This is not just for my baby either; it’s benefited me as well. I’m enjoying the quiet and the peaceful feel our home has when it’s not filled with all the flashing lights and sounds of TV. I’m enjoying the things I notice and can concentrate on when I look away from my phone and at the world and people around me instead. I by no means think all TV and social media are bad, I’m just starting to recognize the ways I’m abusing good things and setting a bad example in the process. I’m learning to love the quiet and to live in that quiet rather than automatically drowning out my thoughts with background noise. Good living takes discipline. It takes discipline and forethought to eat healthy meals. It takes discipline to sit down and read or to tap out words. It takes discipline to build strong, happy, healthy relationships. And I’m learning too that it takes discipline to manage the noise and distractions that come with our modern way of life, with cell phones and social media. Every day I have a choice and an opportunity with the way I live, the home I build, the example I set. Each day is a new chance and building block but eventually those blocks add up from a foundation to a structure—so I must ask, what am I building today with this block? What will this house look like and how will I build and grow the people in it? It’s up to me, every day, one day at a time…and every single day and block counts towards the final structure. 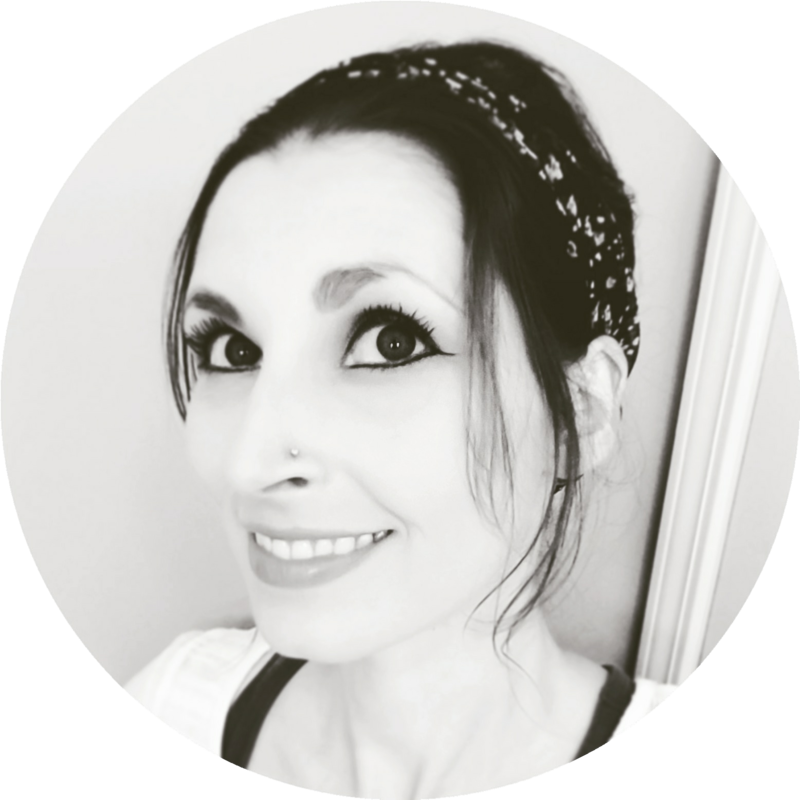 This entry was posted in Motherhood + Children and tagged Baby, Family, Homemaking, House & Home, Intentional Living, Life, Life Lessons, Motherhood + Children, Parenthood, Parenting, SAHM, Simplifying, Social Media, Stay at Home Mom. Bookmark the permalink. You write with such wisdom, Kari! Such an excellent reminder to all of us, whether we are young or old. I am at a very different stage of life right now, my little ones have long flown from my nest and made homes of their own. BUT I still have the choice each and every day to make my home a peaceful, welcoming home or a chaotic, unfriendly place. It is a choice, and a very important one. Thanks for the reminder!